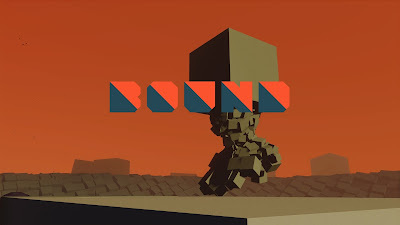 Bound is a 3D platformer that transports you into an amazing world that exists in the mind of a pregnant woman, who revisits memories of her childhood. 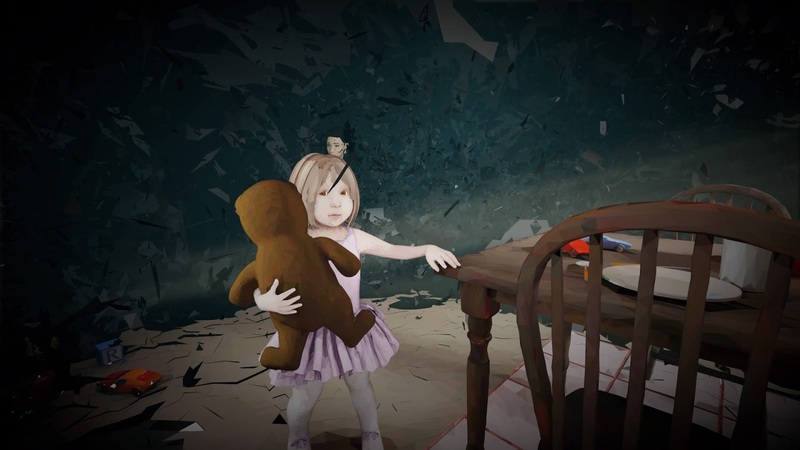 Developed by independent Polish studio, Plastic Studios, Bound provides an introspective story that unfolds through powerful imagery and metaphor, adding an emotional depth to our protagonist’s journey through her childhood. There are two settings upon which this game takes place; the real world in which you control our female lead and the other is a brilliant fantasy land that exists in her mind. The landscape of the real world is artistically drawn and well rendered, and at times it feels like your interacting with a picture that has come to life, but it is the fantasy world of the main characters mind that really brings this game to life. Inspired by modern art, it is a world of shapes, constantly moving around you as you traverse through the platform levels moving closer and closer to the finale. 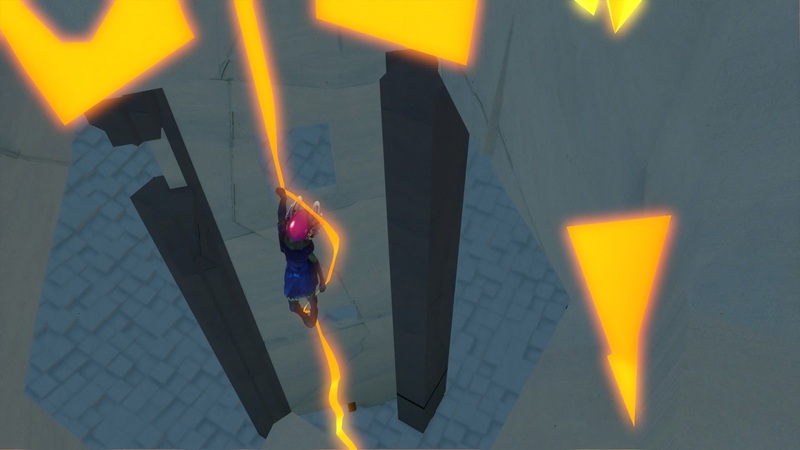 The main female character in the game has childhood memories drawn into a diary, and each level is represented by a page from the book. 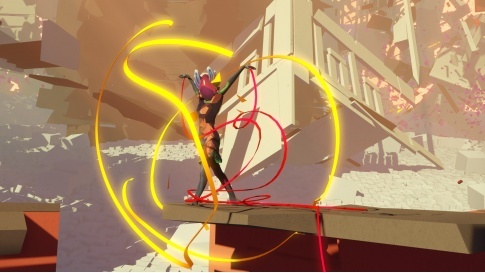 The kingdom has come under attack from a mysterious monster, or alien like creature and the Queen has tasked her daughter to save the land with the power of dance. In the fantasy world our main character is a princess, who utilises dance moves and steps to move through the ever changing landscape. If there is trouble or danger threatening, then using R2 on the controller will cause our character to freestyle dance with a mix of modern ballet and contemporary steps to avoid trouble. However, this isn’t a game targeted towards little girls, but rather adults with its modern art, platform gameplay, and adult themes. Upon finishing the game, it unlocks a speed run mode, and by utilising combinations of dance, jump and roll you can increase the pace in which you can overcome the challenges of each level. 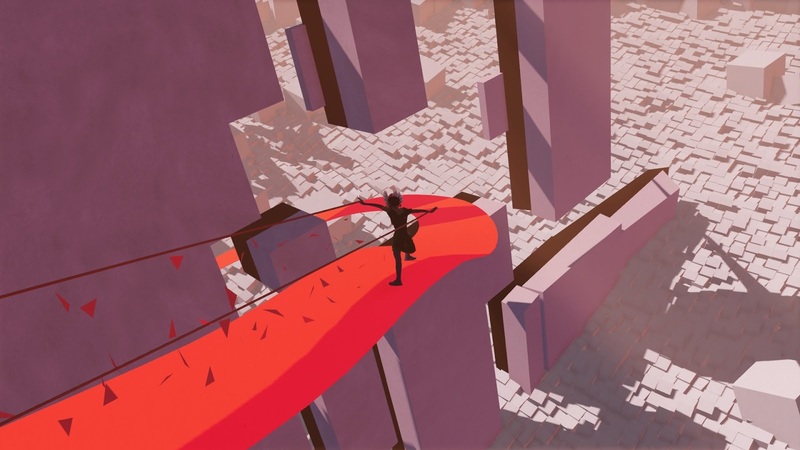 Each level is fairly straight forward and linear, where you must follow and collect memory shards which highlight the path from start to finish. There are some challenges along the way, but most can be left aside to follow an easier alternative. If you wish to collect all the shards then you’ll be required to follow the challenging route, where the easier paths will mean some shards will be left behind. The story of real life events are reconstructed, and retold in this fantasy world using metaphors and different characters to represent their real life counter parts. At different stages the world around you then comes together to reveal a scene from the real world. Without giving anything away, Bound reveals a story of a woman through her memories as a child. It triggers personal emotions, questioning yourself about how your actions in real life can have an impact your own child. To give away those details and reveal the intimate plot would only spoil the experience for others, but the question is would you ring the bell or walk away. DEVELOPER: Sony Interactive Entertainment Santa Monica Studios, Plastic Studios.